Schumacher’s new book, “Terrific Toddlers! 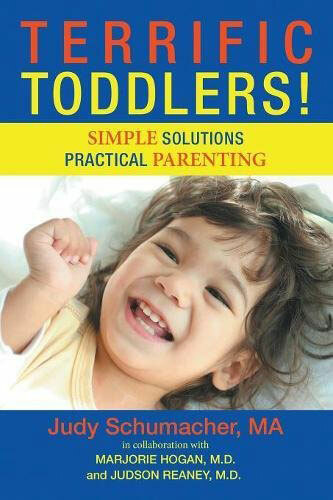 Simple Solutions, Practical Parenting” explores “positive” parenting techniques and approaches to new and different behaviors in one’s child. Schumacher, who holds a master’s degree in family education from the University of Minnesota, explained that the inspiration for her book and her career stemmed from a personal place. But as Schumacher grew, she became more aware of how rare her familial situation was. So she began learning about child development and acquired more than 25 years of experience in early childhood and parent education, including being a family education specialist with St. Paul Public Schools. With the release of “Terrific Toddlers!” in 2017, Schumacher hoped that she could encourage parents to be more aware of their tot’s experiences. Schumacher hopes that this book can have a positive effect on parents and children alike. “Terrific Toddlers!” is available at Micawber’s, in the lower level of Milton Square at Carter and Como avenues in St. Anthony Park, and at LuLu.com, Amazon, and Barnes and Noble.